1) Twitter – I am continually impressed by the people I meet on Twitter. If you are a person who is passionate about something, Twitter is an excellent place to find like-minded individuals. If you are interested in finding wildlife watchers on twitter there are several ways I recommend–just by searching #wildlife, #nwf or #birding you will find new people to follow. 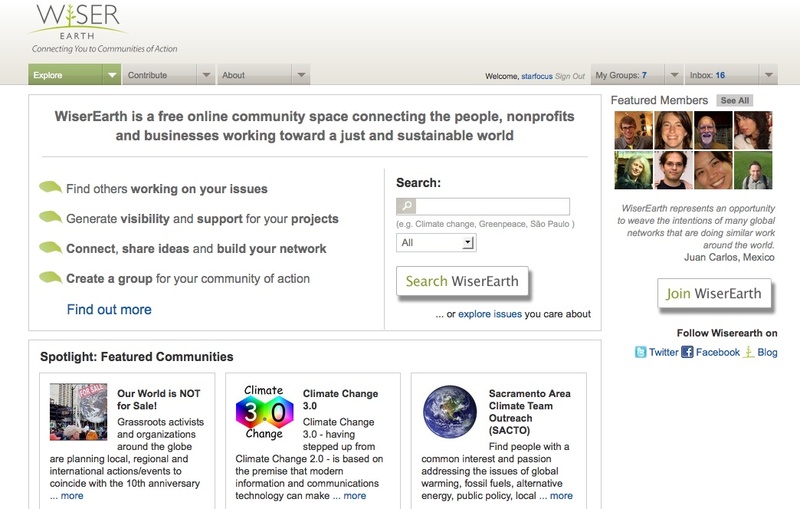 Check out wefollow.com or twellow.com and search those who include wildlife or a specific species in their profile. 2) Wild Obs – If you’re looking to log your wildlife sightings then there are several great places for that, but if you are savvy with a phone or want to communicate their exact location–WildObs is an excellent place to go. 4) Birdpost – While this site does cater very specifically toward birds I couldn’t leave it out. I am really impressed with the depth this site offers while giving bird watchers flexibility and a pleasing design to organize their life-lists and track their sightings. If you consider yourself a birder and you like technology you should definitely check out this site. It’s so fun to play with! Follow @birdpost. Network Weavers and Spiders – The Web Depends on Both! This is great! As a wildlife educator, I try to get the word out about wildlife appreciation wherever I can. There need to be more resources out there for people to see that wildlife viewing is an enjoyable recreational sport. Great list Danielle! Take a look at http://www.NatureBreak.org, too. 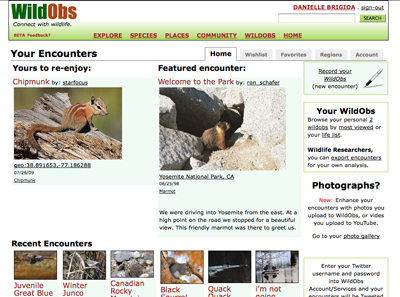 Its a site I recently started as the online wildlife video series and social network for nature lovers. On the site, members can use video, photos, and messaging to share stories about their experiences in the outdoors. Our members are from places as diverse as Brooklyn, Barcelona, and Botswana. The centerpiece of the site is the wildlife video series, which aims to be entertaining, educational, and conservation-minded. Since most of us spend so much time behind a computer these days, I want this site to offer people a refreshing “break” from normal computer work to get in touch with what’s going on in the natural world. Hope you like it and I’d love to hear what you think! I’d like to add Flickr as a great place for finding and communicating with other people who love wildlife. There are active groups for pretty much every nature-related topic (and if there is one missing, it’s easy to start a new group for it). I’ve gotten ID help on insects on at least a few occasions through groups and my contacts there. You are so right John! I love perusing the flickr photos and learning about new species! Great addition! Thank you!